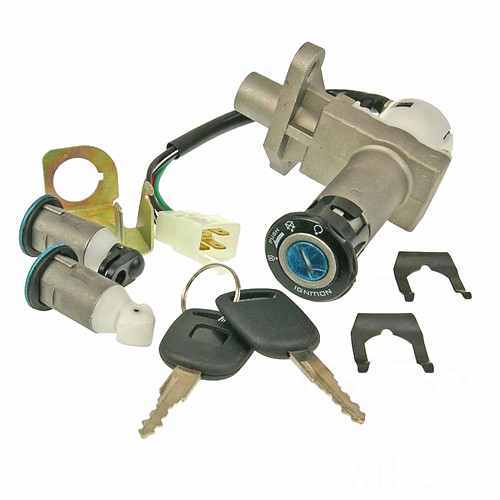 Complete Lock set with 2 spare keys for China 4-stroke scooters with 125cc or 150cc engine capacity. There are different versions of Schlos rates due to different body shapes. Version 1 has a 4-pin connection plug on the ignition switch and 2 separate locks for bench and auxiliary tray. Please compare before ordering exactly the product image if this version is identical to the required Schlos sentence.